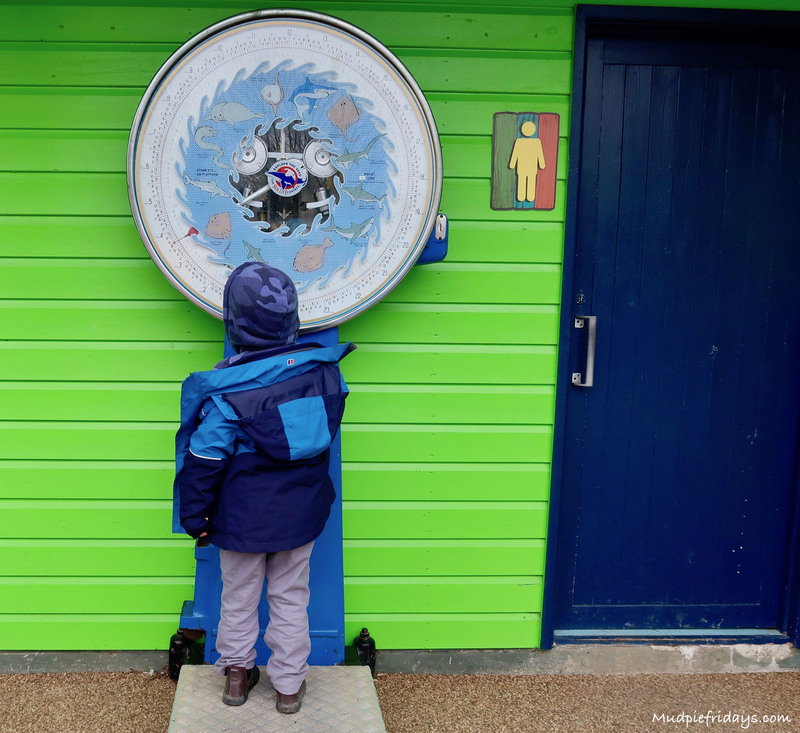 Weymouth Sea Life Centre Review: Last year we brought Merlin Annual Passes for the first time. 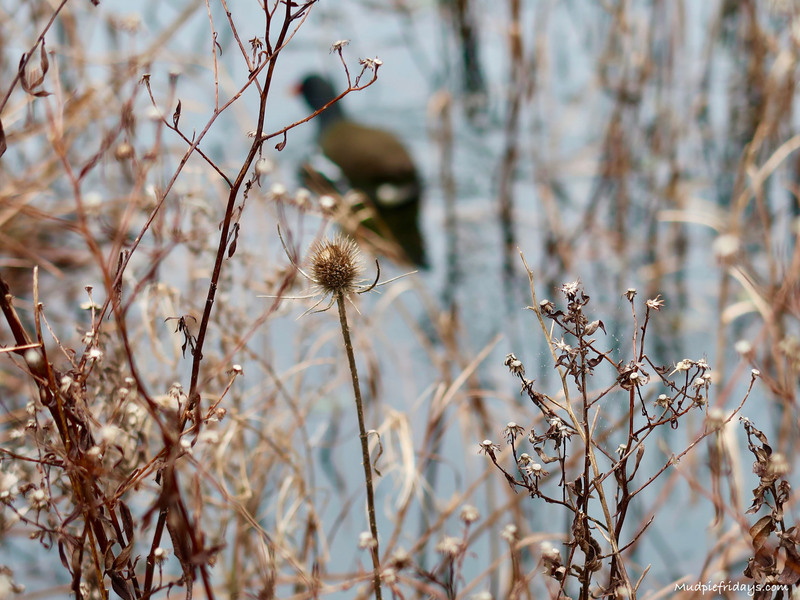 In February we brought them again, only this year I am going to keep better track of our adventures. I want to see just how much money we save by buying the passes. 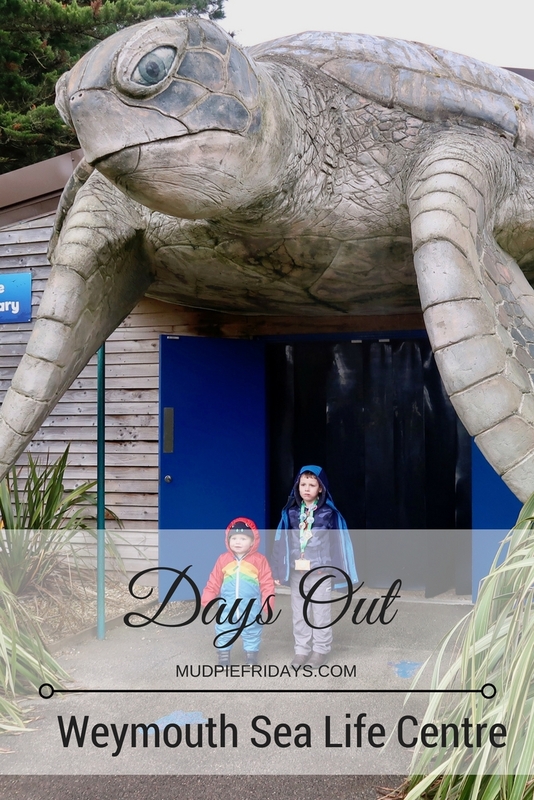 The first place we visited was Weymouth Sea Life Centre when we stayed at Camp Caalm at the end of half term. I really like the layout of this Sea Life Centre. Instead of being one big building like Brighton Sea Life Centre it is a series of different buildings. Each housing a different attraction. I think this really helps the attraction flow. It also means that when its busy you can jump from one to another in a different order. Yet it still has all the elements I would expect. 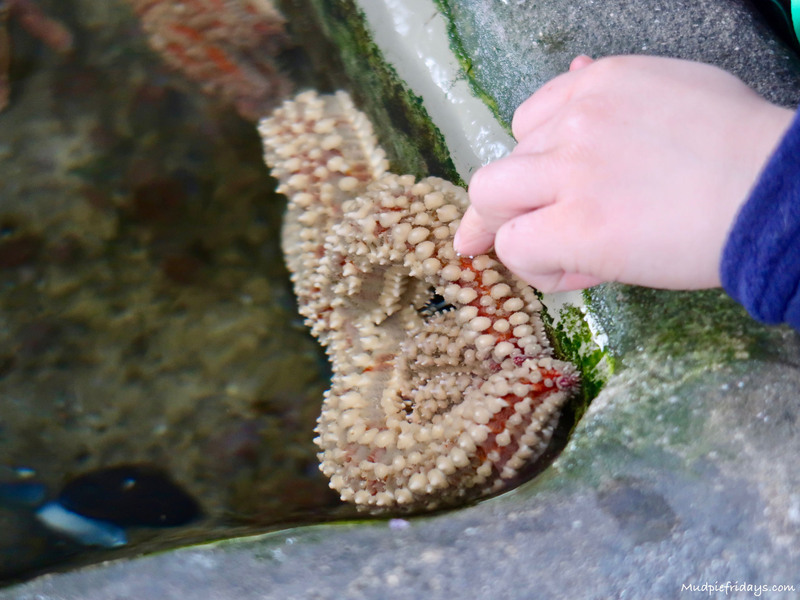 Including a touch and feel zone, when Monkey stroked some star fish. Kipper was more interested in the tumbling water at the back. Its possible to walk across it. Thankfully the lady warned us when the next surge was coming, otherwise we would have got very wet. 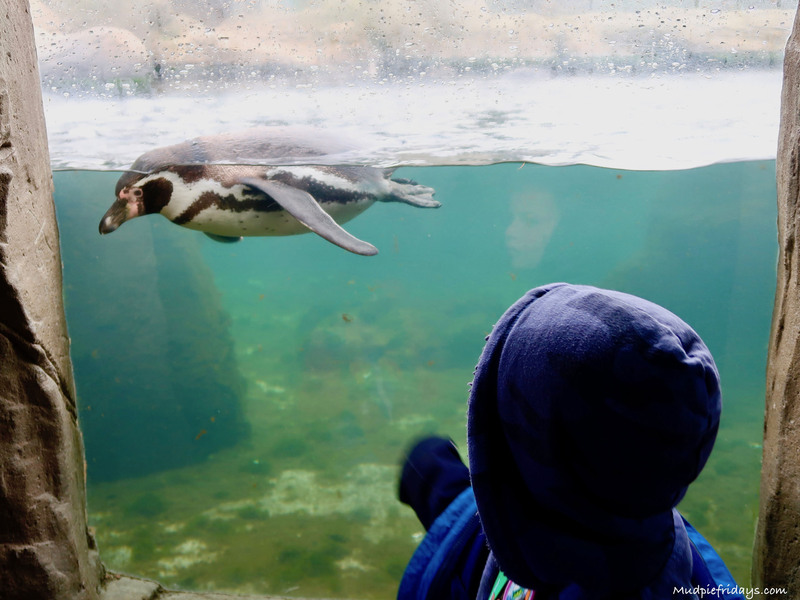 There is also a penguin enclosure and a sea lion section. Both give you the opportunity to see the animals under water. 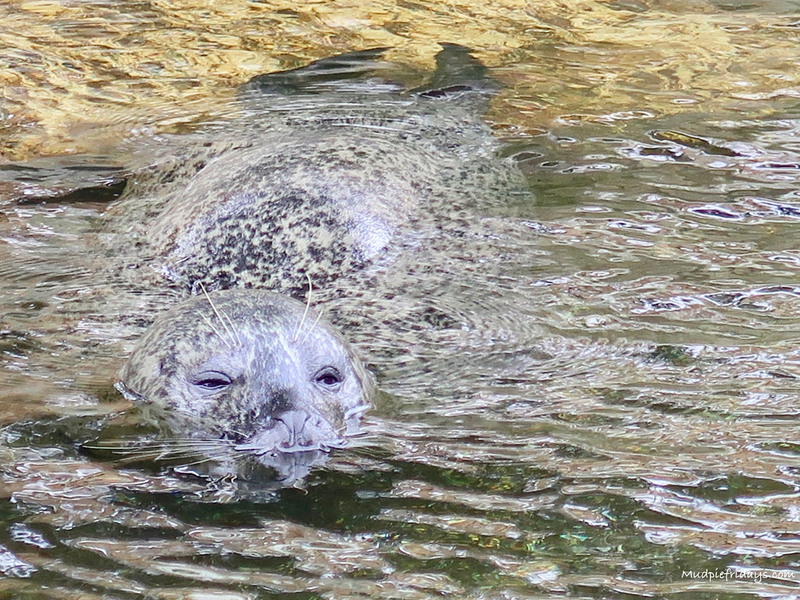 We could have stayed and watched the sea lions for ages, they were very relaxing and peaceful to watch. 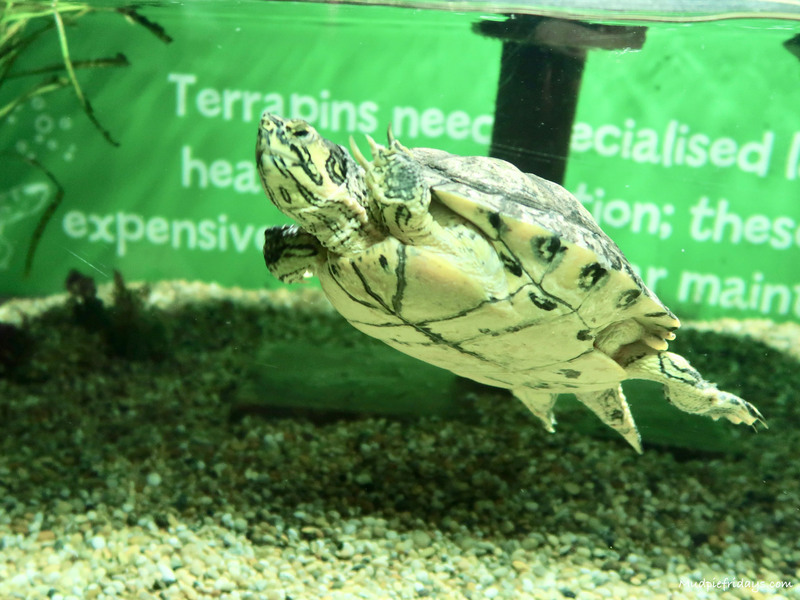 Kipper particularly liked the turtles and terrapins. I think this is because we were borrowing a little turtle from nursery. He ran from tank to tank shouting turtle! Fascinated. 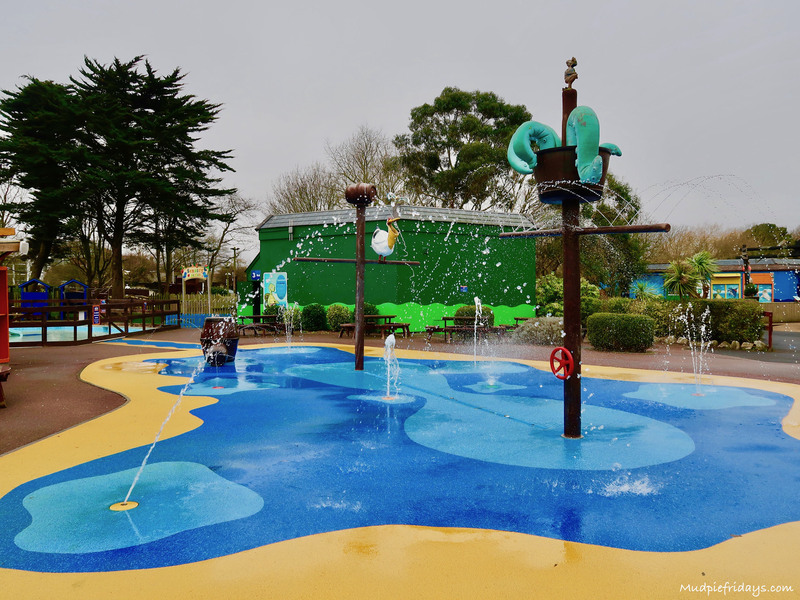 Since we last visited they have added a splash down area. Not the weather was really up for us to explore it in February. 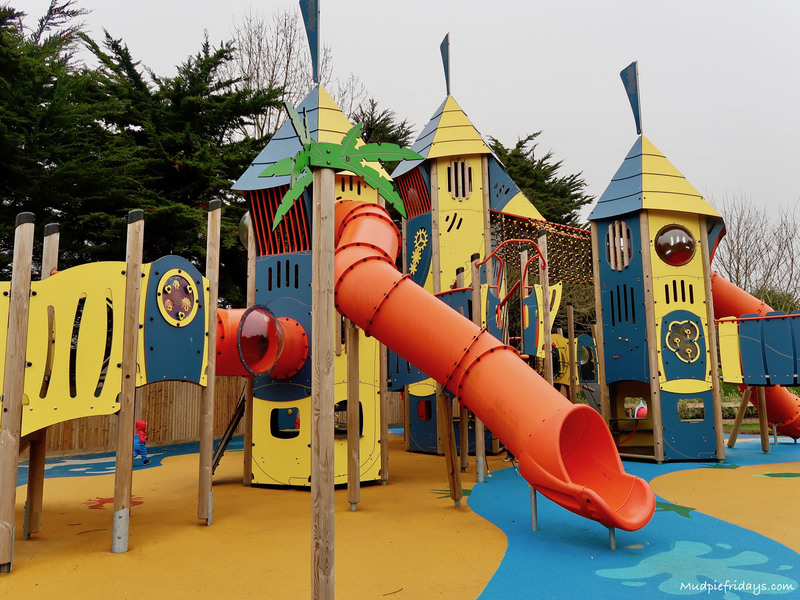 They have also added a huge new play area. The ground is covered in multicoloured bouncy tarmac. Perfect for little people. They also cater for different ages, which is a huge plus. With our four year age gap that doesn’t happen very often. Kipper particularly liked the slide. We spent the morning at Weymouth Sea Life Centre. Its not overly large so even in busy times I think you would probably only need about 3 hours or so. There are places to eat both by the entrance and the new play area. We stopped for a snack at the one by the entrance. There was not a wide choice, but that could be because we weren’t at peak season. Our intention is to try and visit twelve attractions over the course of the year. This way we will make significant savings with our Merlin Passes. 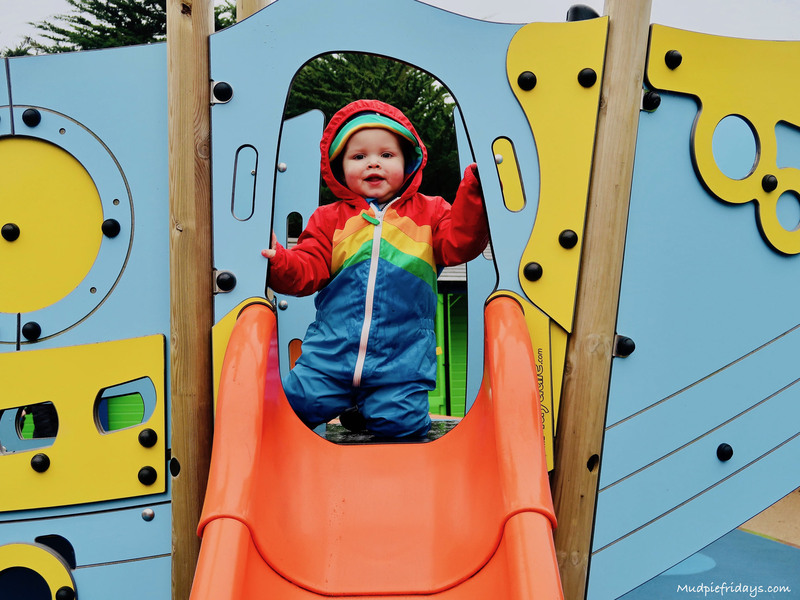 If we had paid for entry adults cost £22.95 and children 3-14 years are £18.95 on the gate. Although if you buy tickets in advance on the website you can save up to 40%. Plus they offer a rainy day guarantee which I think is a brilliant idea. As well as the option to combine your visit with other attractions in the area at reduced prices. Looks a great place to take the family! 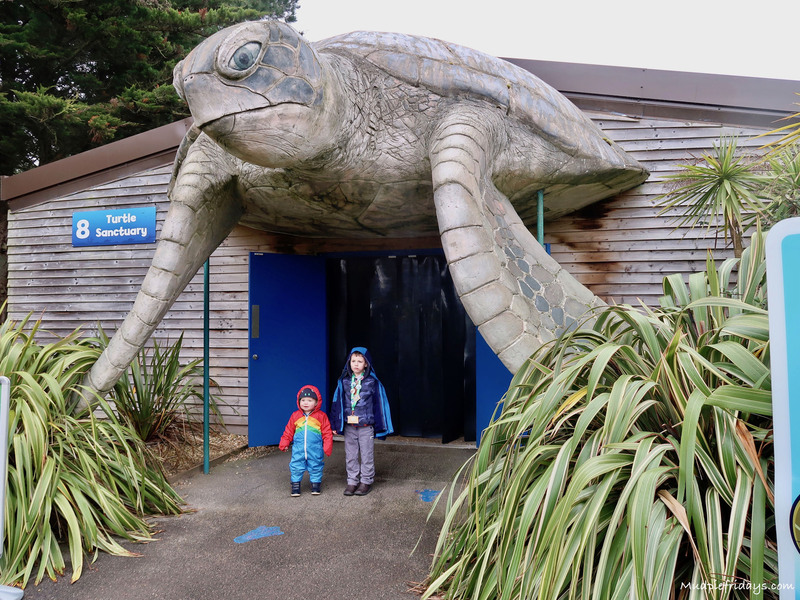 It looks great, our local sealife centre is fabulous too, my favourites are the turtles, like Crush in Finding Nemo. 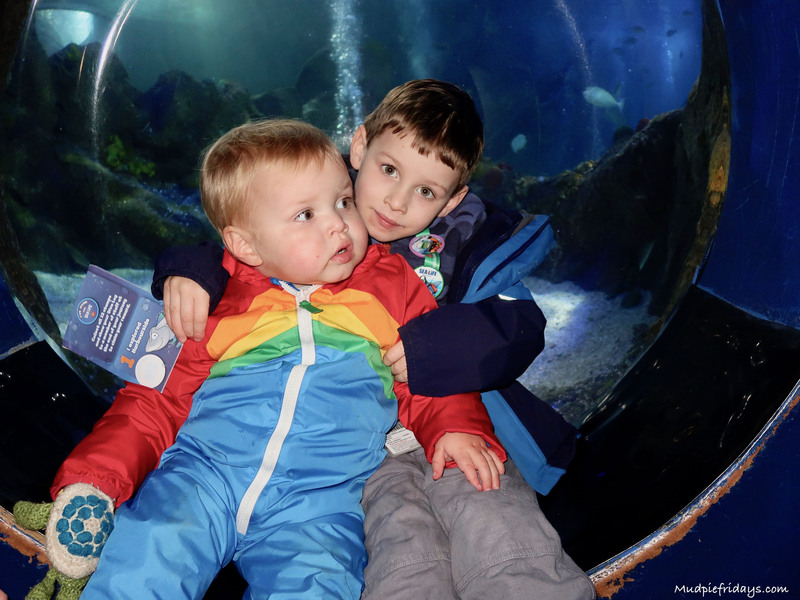 Can’t beat sealife, esp for the kids, they love it! Merlin Passes are great. 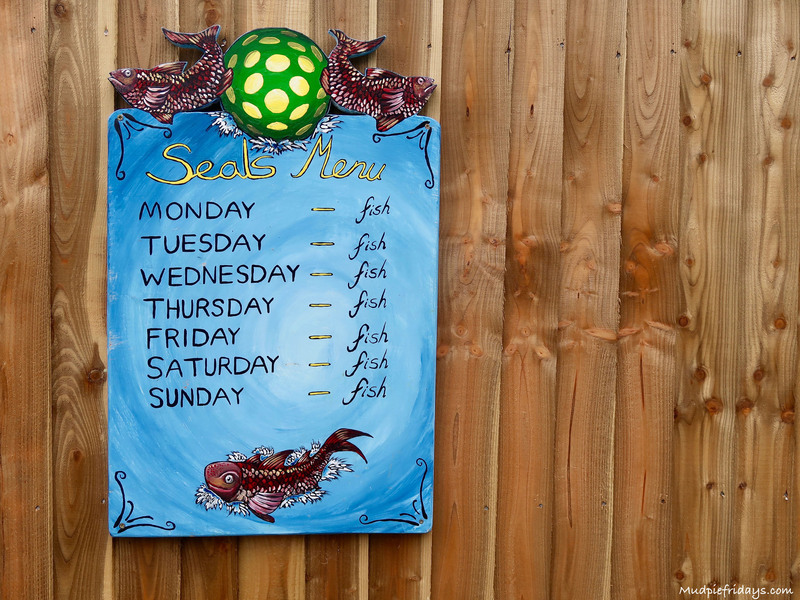 I’ve been to Weymouth – must have a look at the sea life centre. I have such happy memories of the Weymouth Sea Life centre as we went every year as a kid, I still remember the huge big flat fish coming to the surface of the tank, I jumped out of my skin and ran out lol The centre looks a lot bigger now though, it looks lovely. 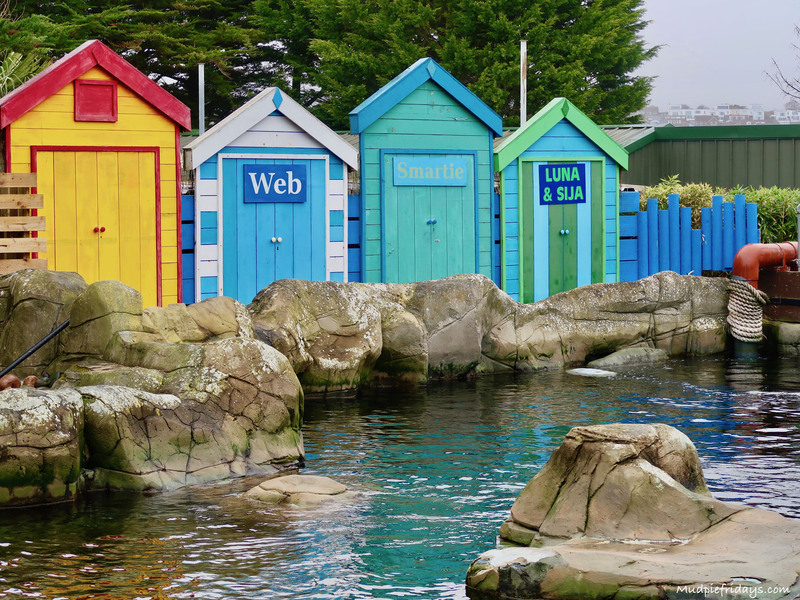 We absolutely love Sea Life Centres, there are so many amazing things to do and see and it’s a fabulous experience for the children. Wow! What an entrance! I have considered visiting previously but wondered if it was worth the cost of a day out. It certainly looks as though it is so will put this on our summer treat list. Thanks, Clare. The photos are brilliant showing that a really good educational experience can be great fun too! My grandchildren would enjoy themselves here!